I lifted (weights duh!) Saturday morning before my 5k run that night! So I pulled my left calf muscle running last Wednesday. The Hubs told me (aka made me) not run or exercise at all the rest of the week so I wouldn't make it worse. But here's the thing... I have to go to the gym every Saturday morning. It's just something in me that makes me want to go 8 a.m. every single Saturday. Hell I ran 3.12 miles the Saturday morning before the Crawl for Cancer. It's a sickness! Ha! 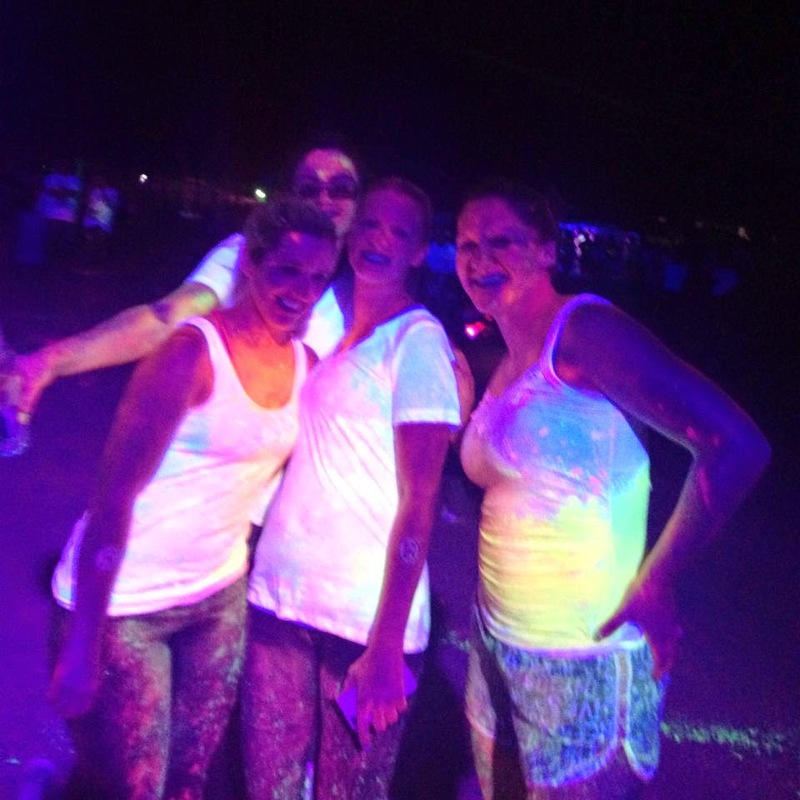 Well by Saturday night my legs were so sore & I hadn't even started running the Blacklight 5k. Let's just say it wasn't my best race ever! 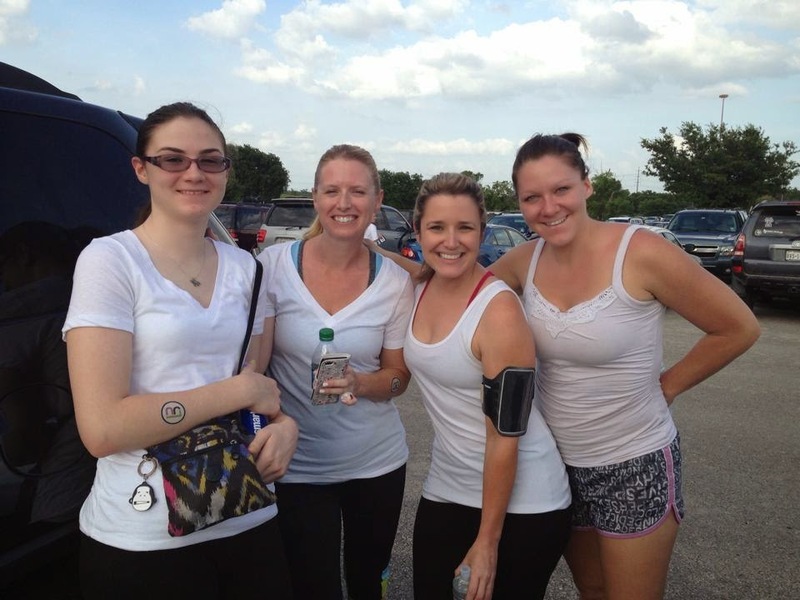 The race itself was fun and we looked so awesome by the time we were done! We ended up eating at Morelia's looking like this! Haha! All in all a fun yet painful weekend!